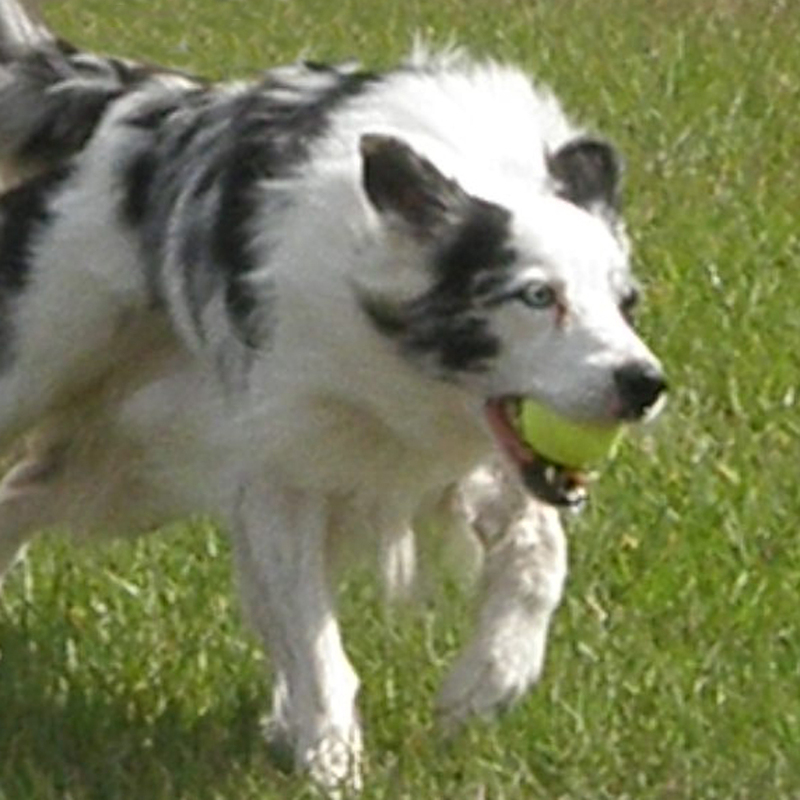 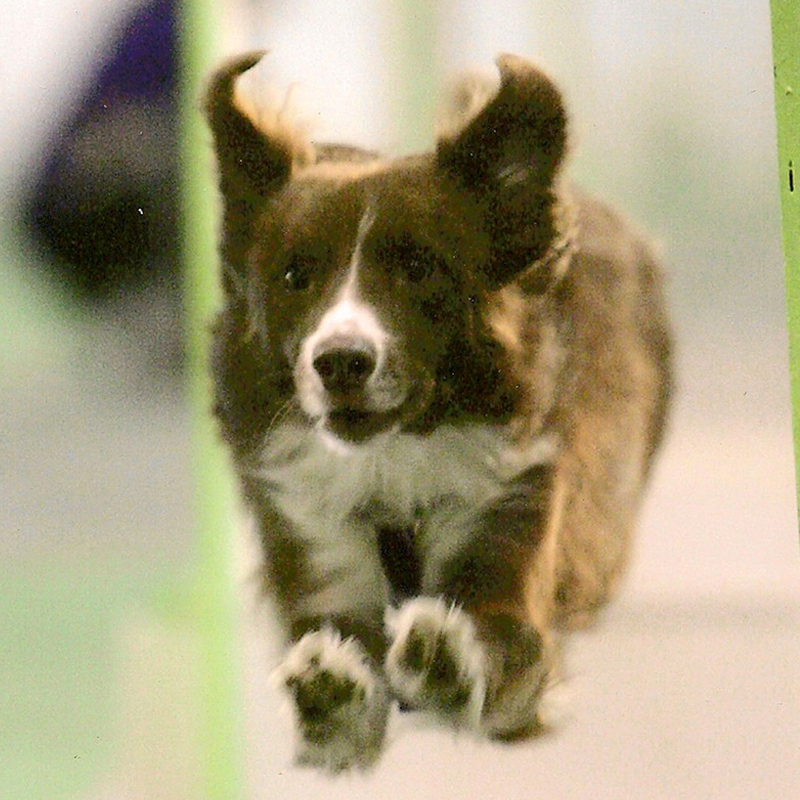 Flyball is a high energy team dog sport! 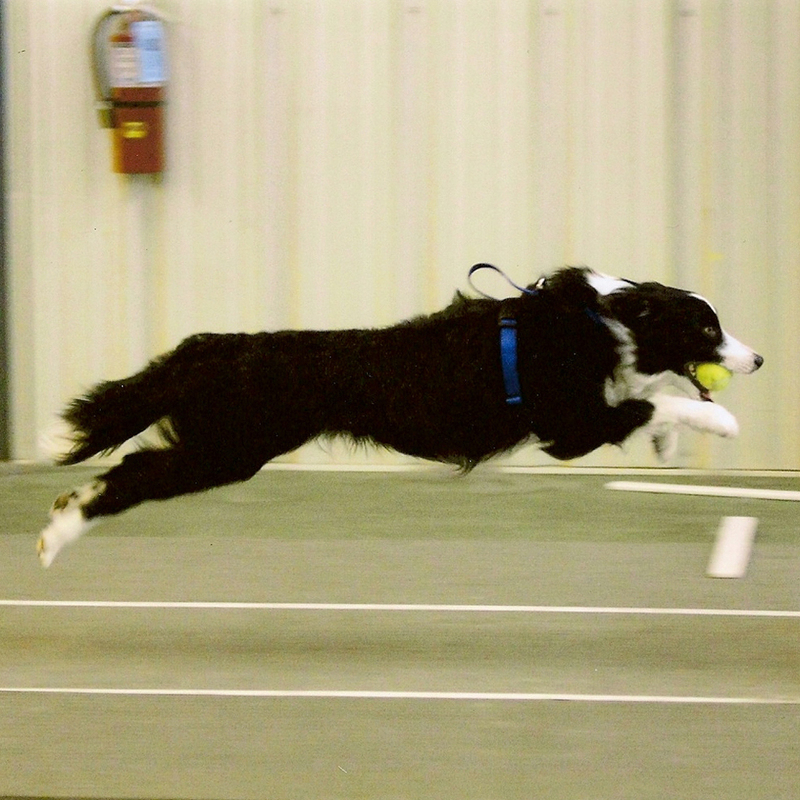 Teams of four dogs work together in a fast-paced relay race. 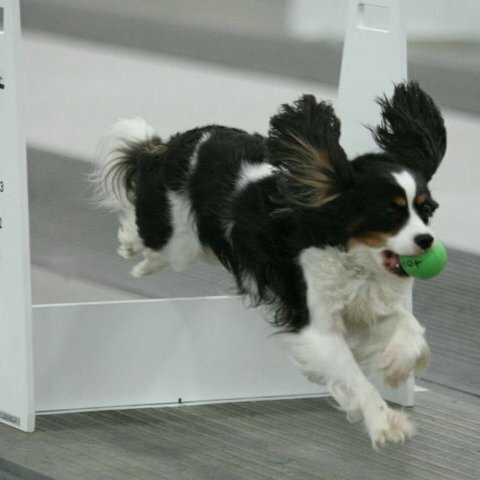 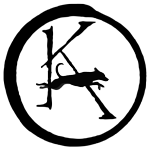 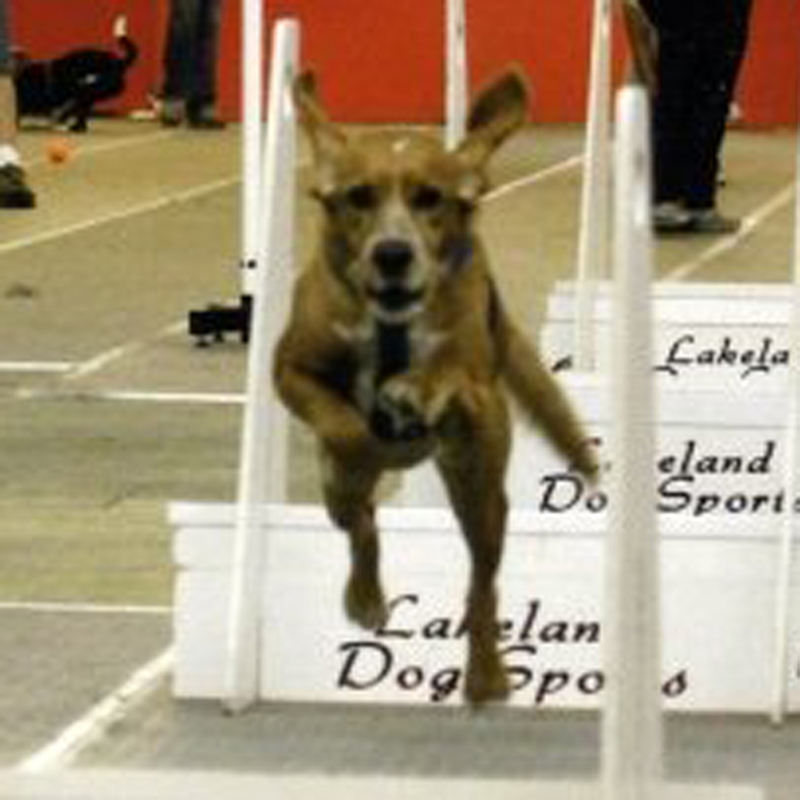 Dogs hurtle over four jumps, trigger a spring-loaded box, catch the ball it releases, and race back to the start line so the next dog can go. 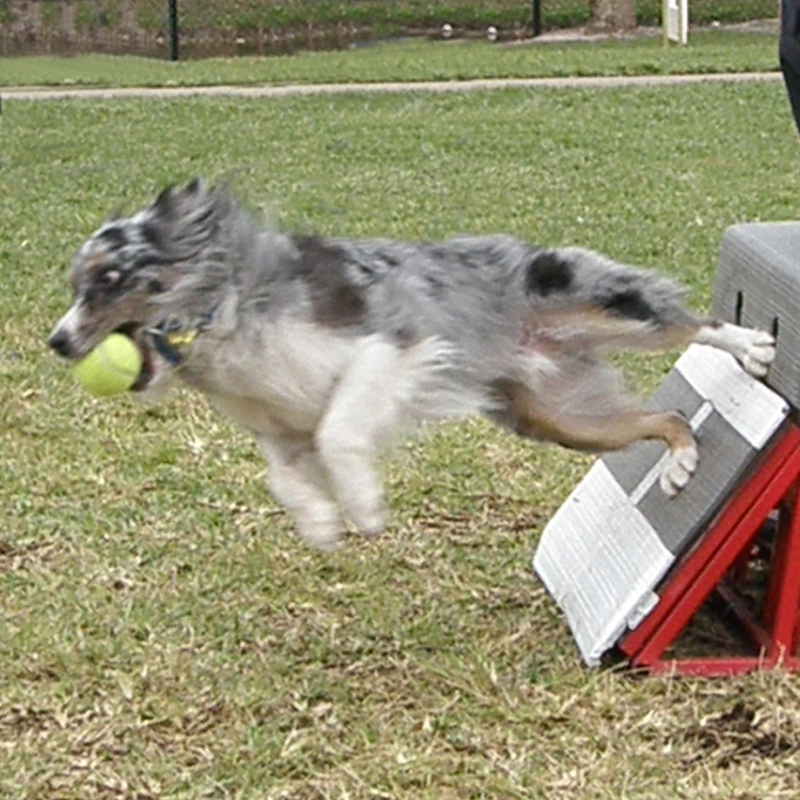 The first team to finish four dogs without errors wins!